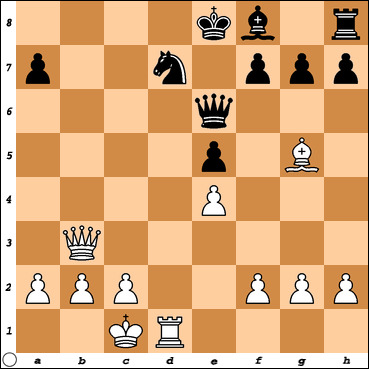 Occupying the center, developing pieces, opening lines, mating the enemy king: Paul Morphy knew how to win quickly. The chess game played in 1858 at an opera house in Paris between the American chess master Paul Morphy and two strong amateurs is among the most famous of chess games. Duke Karl and Count Isouard consulted together, playing as partners against Morphy. The game is often used by chess instructors to teach the importance of rapid development of one's pieces, the value of sacrifices in mating combinations, and other chess concepts. How does he achieve checkmate ?